They say he can appear out of nowhere. Valiant Entertainment's guardian of 41st Century Japan rises! Standing 18-inches tall, Rai poised to fulfill his destiny! Donning the mantle passed down from father to son through the generations, Rai is the spirit guardian that protects the nation of Japan in the 41st century. They say he's a spirit… the ghost of Japan. 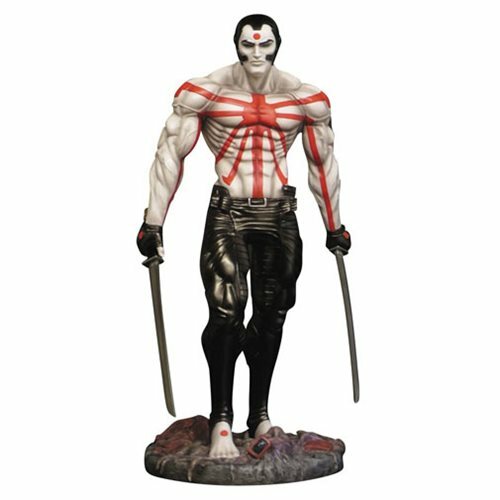 Valiant Entertainment's fictional superhero rises in the form of this imposing 18-inch tall polyresin statue, poised to fulfill his destiny! Ages 15 and up.